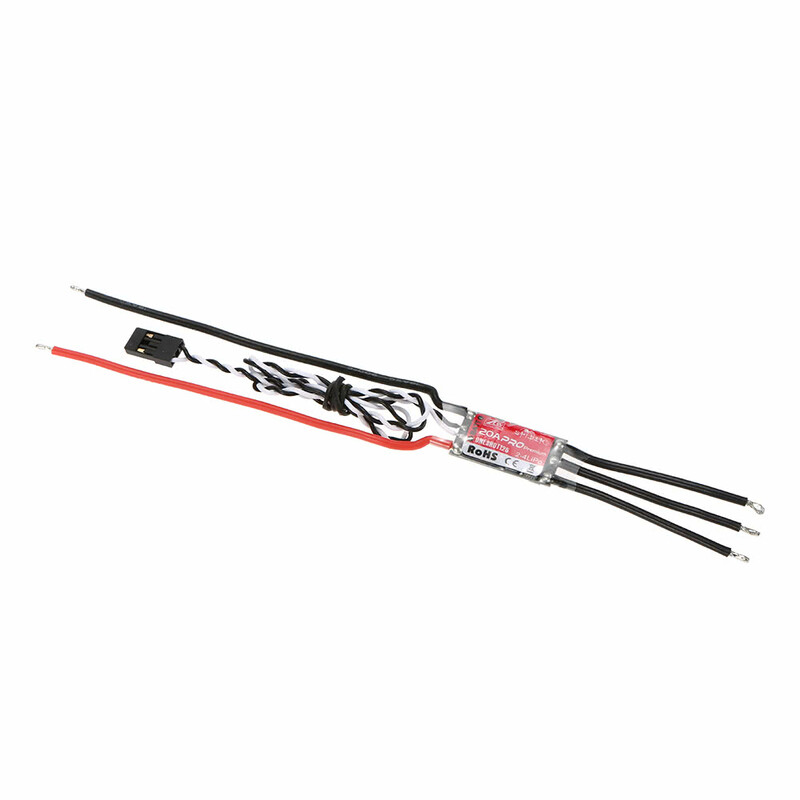 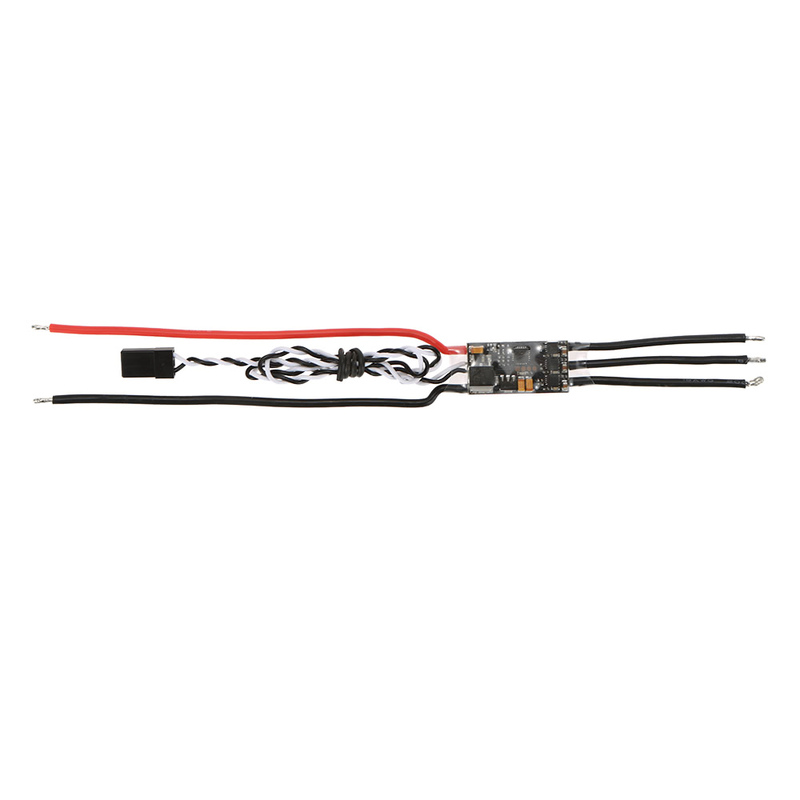 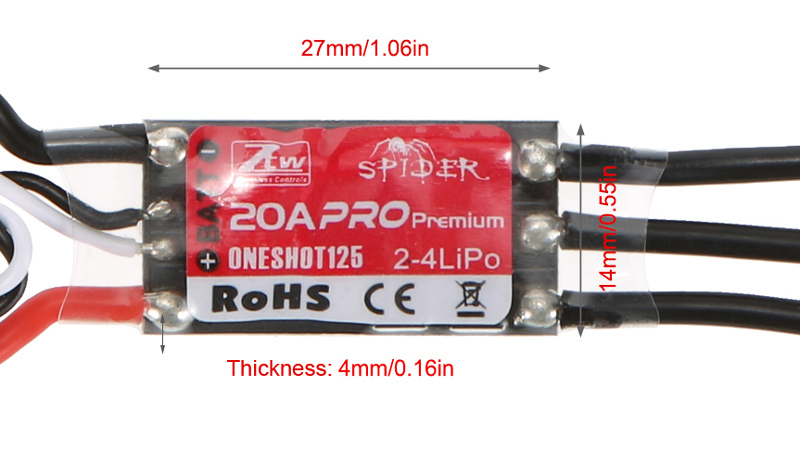 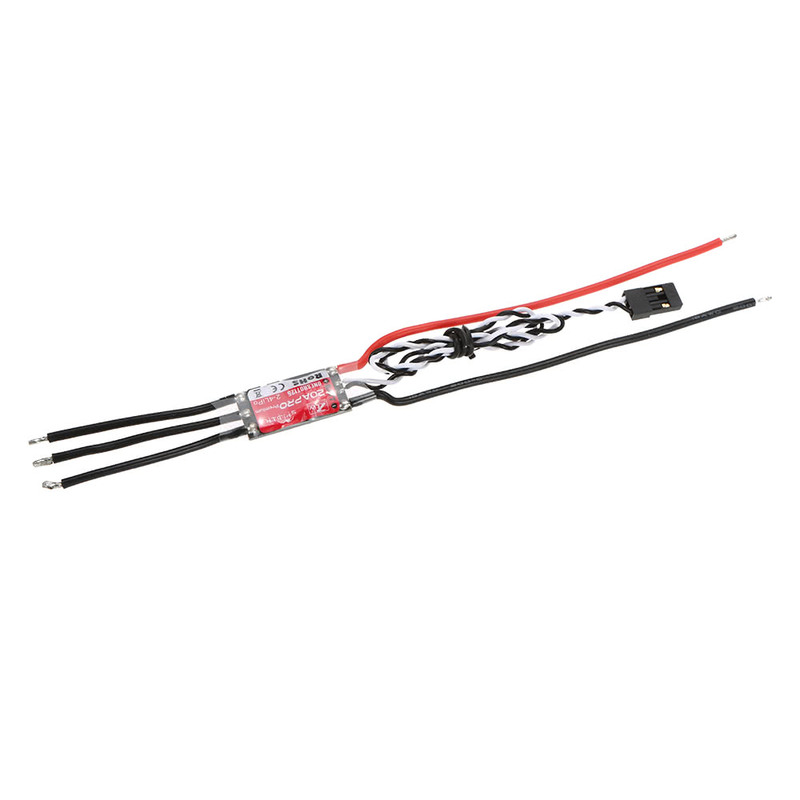 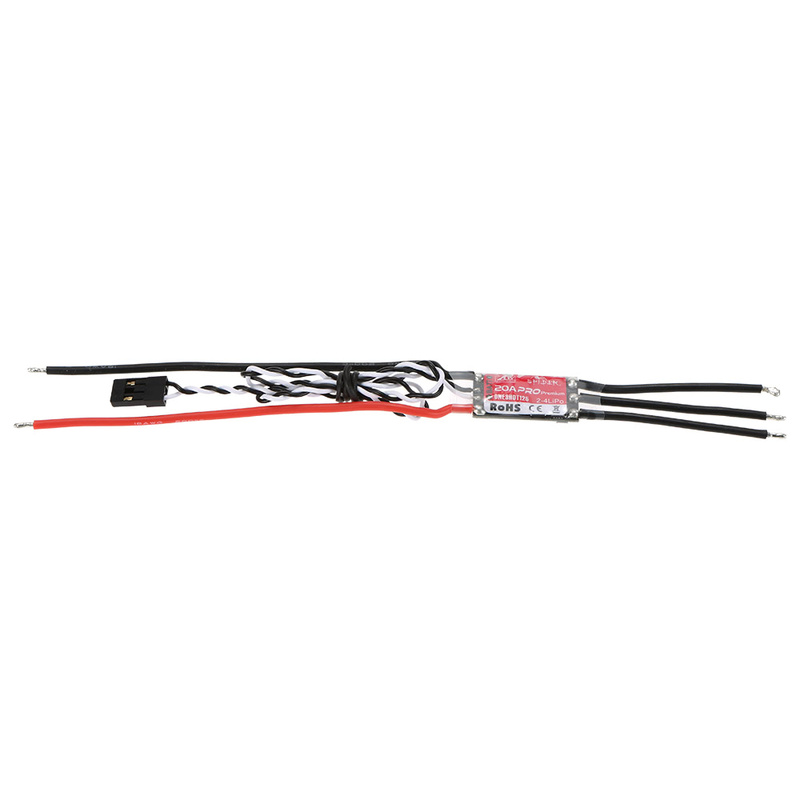 Spider PRO Premium 20A OPTO 2-4S ESC is specially designed to meeting the demand of ever popular multi-rotors, With better quality and competitive price, spider will be your best choice for your multirotors. 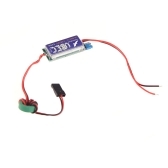 Capable of using BLHELI firmware. 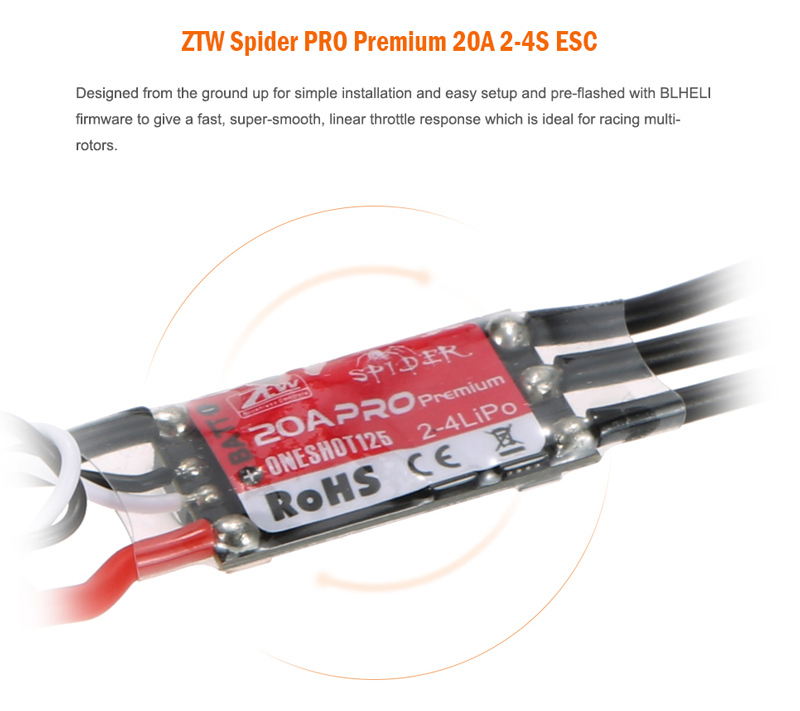 Super smooth and accurate throttle response. 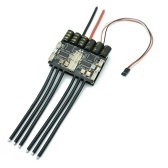 Specifically designed for FPV Racing multi-rotor use. 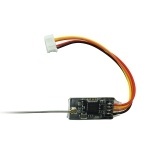 Capable of one shot 125 feature to work better with your flight controllers. 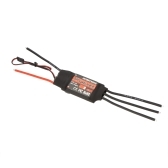 Supports high RPM motors, can be matched with most of the motors in the market. 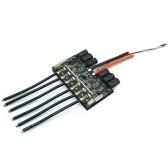 Use new generation of the MOSFETs to make sure the ESC with low heating and more reliability.